Over the past holidays, Greg Kumparak decided to do a bit of tinkering while on a Doctor Who-fueled creative streak. The result? 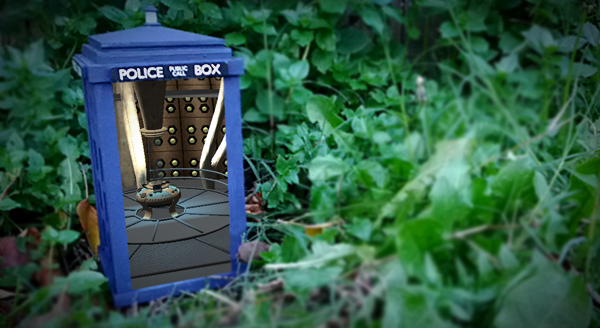 He built his own minature TARDIS… that’s bigger on the inside. Now, you need a cell phone to see the inside, but this is one of the coolest and most unique uses of augmented reality. Using the phone, you can look inside the TARDIS’ door and see the entirety of the inside from your mobile perspective. He blogged about the whole process involved in making it here, and uploaded a video so you can see it in action. Watch it below! He says he’s hoping to post more info soon on how to make this yourself!